Recently some media attention has been given to the case of a young man in our community who was paralyzed from the neck down after an encounter with the RCMP in 2012. The young man in question had apparently stolen a car, and when the police blocked him with their vehicles in an attempt to apprehend him he decided to play a little real-life Grand Theft Auto and began to ram their cars. The police, reasonably fearing for their safety and the safety of others, fired on the car he was driving, and one of the bullets struck the young man's spine, damaging his spinal cord and causing paralysis. The young man, 16 at the time of the incident, is now paralyzed for life, and is suing the RCMP for damages. Now, I want to make a few things clear right at the outset. I don't condone his actions, and I believe the officers acted reasonably given the situation (and an investigation has cleared them of any wrongdoing). The location where the incident occurred is very close to schools and playgrounds, and at 3 pm in the afternoon on a Saturday, when the incident occurred, it was reasonable for the officers to fear for the safety of civilians should this young man decided to continue his game of GTA and perhaps drive away at high speeds. I also don't believe the lawsuit he and his family have filed should result in financial compensation of any sort, as due to his injury he will now use a disproportionate amount of our health care resources, and to me that seems fair compensation given that his own actions led to his injury. However, as became clear when I was discussing this incident recently with others, it does not mean I do not have compassion for him, and particularly his family. Young adults simply do not think like adults. I could cite a lot of studies showing that brain development in young adults indicates they do not understand cause and effect the way more mature individuals do, and that their ability to calculate consequences is impaired by that lack of development. This is not meant in any way to excuse his actions, but I think it is of value to understand that in those young minds the concept of death or injury may become some sort of romanticized concept, full of drama and pathos and significantly lacking in the blood and gore such things actually entail. This lack of brain development means that young adults will embark on ridiculously reckless exploits, as most of us who have spent any time with teenagers can attest. They tend to over-emphasize the potential for positive outcomes while minimizing the potential for negative outcomes, and this does affect their decision making ability. Does this lessen the culpability of this young man in his crime? Not at all - but the sad reality is he is now in a jail of his own devising, a jail consisting of his own body and one from which he can never escape. He has, in essence, been given a life sentence. 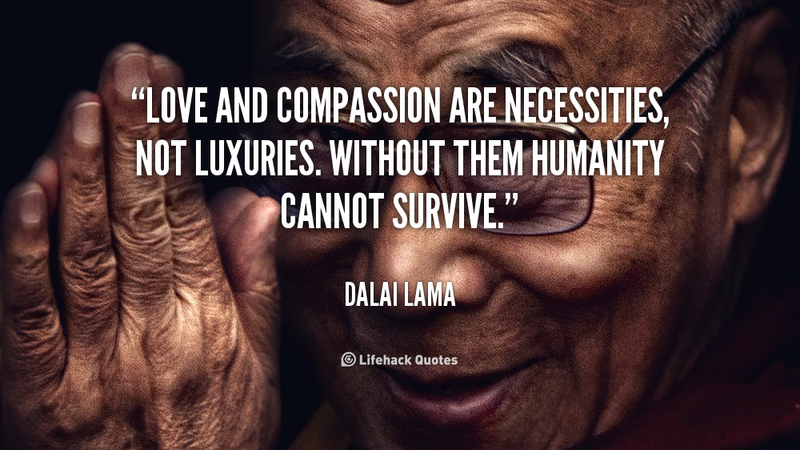 Compassion, as compared to a lawsuit, costs us nothing. The ability to have compassion for someone, even when they have done wrong or wronged you, is a remarkable quality, and it is, I believe, one of the ones that define us as human. Animals do not seem to display this ability to engage in forgiveness and compassion, but we as humans can - and I think when we do it speaks well of us, because it says far more about our character than about those to whom we extend that compassion. I am deeply troubled that a 16-year old youth in our community stole a car, and decided to play a little real-life GTA with our law enforcement officers, for whom I have deep respect and admiration. I am deeply troubled that his family has now endured not only his criminal actions but his injuries, and as a mother I know how painful that would be, regardless of how your child happened to end up in that hospital bed. I am deeply troubled that some in our community have openly expressed the sentiment that this individual - fundamentally a child - should have simply been killed, as if his life, or the life of any other human, is without value. Perhaps it is that very sentiment, that devaluing of human life, that leads young men to commit the kinds of acts this one did. Perhaps if we started from a place of valuing all human lives equally and were more successful in instilling this in our children we would see fewer stealing cars and ending up with bullet wounds on the side of a road. The reality is we can condemn his actions but continue to feel compassion for him and his family. I sincerely hope that one day, after a hopefully unsuccessful lawsuit given that he was injured during the commission of a crime and the police used reasonable force under the law, he will decide to use his experience to teach other local youth about the real-life impacts of the acts he committed. Perhaps he will use his sad experience to help them to understand that life is not a game of Grand Theft Auto, and that real life actions have real life consequences, some of them far worse than spending life in prison, like being in the prison of a body over which you now have no control. To me that would be the best possible outcome in a terribly sad scenario which saw a young man only two years older than my own Intrepid Junior Blogger paralyzed through his own foolish and reckless actions. The cost of compassion? Nothing. And while I hope he does not receive a penny in compensation for the shooting that left him paralyzed, given that his own choices have led him to where he is today, I have endless compassion for him and those who love him, because it costs me nothing to do so, and because maybe, just maybe, that compassion will one day mean he will use his life to encourage others to choose a different path, and not one that ends in a pool of blood on a local street.